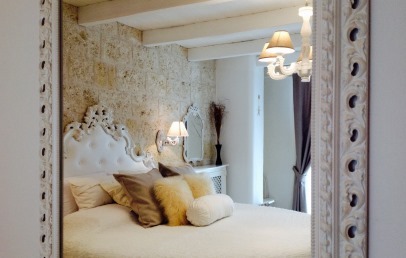 boutique B&B the ideal destination for couples in search of a romantic escape. Playa del Mar – Boutique B&B is located a stone’s throw from the beach, close to the town centre of Monopoli. A short walk offering spectacular views over the coastline will lead you to the ancient city wall that encircles the lively town. The hotel is 50 km from Bari airport and 25 km from Alberobello, the UNESCO town famous for its trulli. B&B Playa del Mar’s white linear building overlooks the coast, disguising the sunny terraces set up for guests to relax on. These discreet corners are home to comfortable canopied beds and an 18 m² hydromassage pool. In the indoor areas, stone and marble provide the background to a warm and enchanting décor of pale colours. Minimalist and elegant, the 5 suites at Playa del Mar bring together the warmth of natural materials and modern comforts: the rooms have stone walls, pearl marble flooring, white wood beams, and offer Wi-Fi, Smart Hub TV and Sky. Guests at Playa del Mar – Boutique B&B can easily reach the five sandy coves (two serviced) that are nestled between the cliffs, all within 200 m of the hotel. We recommend hiring a car to explore the numerous beaches that adorn the coast of Monopoli. The hotel offers a rich continental breakfast that can be served in your room, in the breakfast room or on the beautiful terrace overlooking the sea. On offer, a lavish selection of fresh Mediterranean products and typical products from Puglia. Guests have unlimited access to the outdoor hydromassage pool and all common relaxation areas. Available at additional cost: use of the private Jacuzzi, access to a private beach offering special rates for hotel guests, boat tours and aperitifs on the terrace. 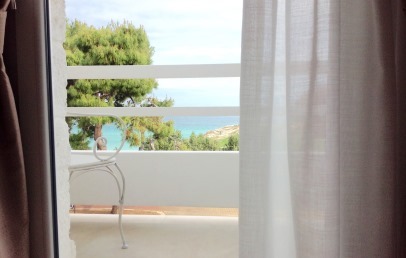 A double room with king size bed, the Deluxe Suite has a private balcony overlooking the sea and features the use of white tones and natural materials: stone walls, pearl marble flooring, and exposed beam ceilings. 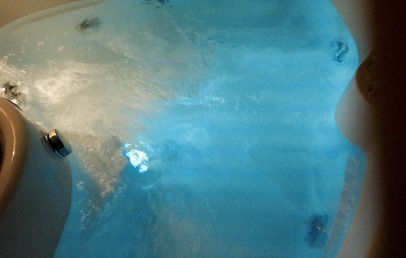 The exclusive suite boasts a large heated hydromassage pool with a romantic sea view. The room offers Wi-Fi, Smart Hub TV and Sky. The King Suite is a double room with a round king size bed and balcony with sea views. The stone walls, marble flooring and white wood ceiling give the room a sophisticated and welcoming ambiance. 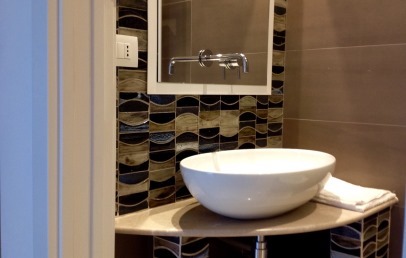 The room offers an en-suite bathroom with hydromassage tub, Wi-Fi, Smart Hub TV and Sky. An elegant double room with a round king size bed and balcony with garden view, the Queen Suite offers Wi-Fi, Smart Hub TV and Sky. The room is elegantly decorated with natural materials: stone walls, pearl marble flooring and white wood ceiling. 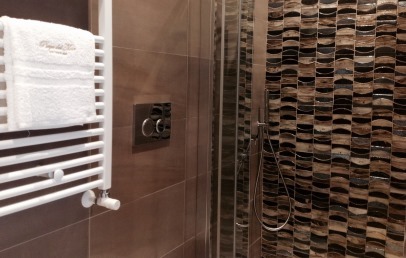 The en-suite bathroom has a hydromassage tub, hair dryer, bathrobe and complimentary toiletries set. A double room with king size bed, the Comfort Suite has a window with city view and an en-suite bathroom with hydromassage tub. The room boasts stone walls, pearl marble flooring and white wood exposed beams. The suite offers Wi-Fi, Smart Hub TV and Sky. A welcoming double room with king size bed, balcony with garden view and bathroom with shower, the Superior Suite offers Wi-Fi, Smart Hub TV and Sky. The room features stone walls, pearl marble flooring and white wood exposed beams.